The girl’s mother, who is 17, faces charges of attempted murder. TWO SISTERS FROM upstate New York who thought a dog was making noises near their neighbour’s bushes discovered something else entirely: a filthy 8-month-old baby girl who survived three nights outside in a white plastic bag. “Her legs were just dangling in the bag. Her head was in the bag. Her whole head was covered all the way down,” Kayla Seals told Elmira television station WENY. The baby was hospitalised and in a stable condition yesterday and the 17-year-old mother, Harriette Hoyt, was in jail facing a charge of attempted murder. 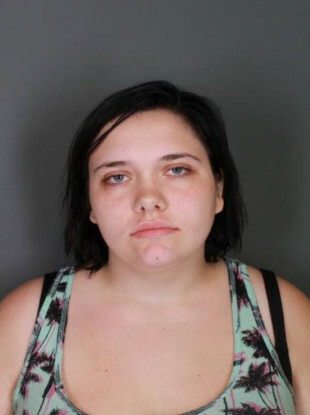 Hoyt, who lives 20 miles from Elmira, New York, in Sayre, Pennsylvania, went there to visit a friend on Saturday morning and left the infant in the bag under some bushes around noon, said Chemung County District Attorney Weeden Wetmore. Police say interviews with neighbourhood residents identified Hoyt as the baby’s mother. Her lawyer wasn’t available for comment. Weeden said Hoyt had no prior criminal history. Kayla and Karen Seals found the baby early on Tuesday afternoon. They called 911 and cleaned up the child. She was wearing clothing and a soiled nappy and had a rash over parts of her body, but showed no signs of other physical abuse, Wetmore said. High temperatures over those days reached into the low 20s with a low of 8 degrees on Saturday night, according to the National Weather Service. The baby, whose name was not released, was taken to a hospital for examination and transferred to Strong Memorial Hospital in Rochester, where she was in stable condition and may be released to social services officials as early as today. Elmira police Sergeant William Solt called the two women “heroes”. “My sister came out off the porch and went to the side to the backyard of my neighbour’s house with a stick, thinking it was a dog,” Karen Seals told the television station. New York has a law that allows a parent to leave a newborn in a safe place, such as a hospital or fire station, without fear of being prosecuted, but it wouldn’t have applied to the 8-month-old. The law was enacted in 2000 and amended 10 years later to increase the length of time when a newborn could be abandoned from five days after birth to 30 days. Hoyt was being held on $250,000 (€212,000) bail and is expected back in court on Monday. Email “8-month-old in New York survived 3 days in a plastic bag after mother abandoned her”. Feedback on “8-month-old in New York survived 3 days in a plastic bag after mother abandoned her”.